Jump 360 is a large trampoline and extreme sports park. They have sporting activities like obstacle courses, bubble football. Fresh into the trampolining scene? 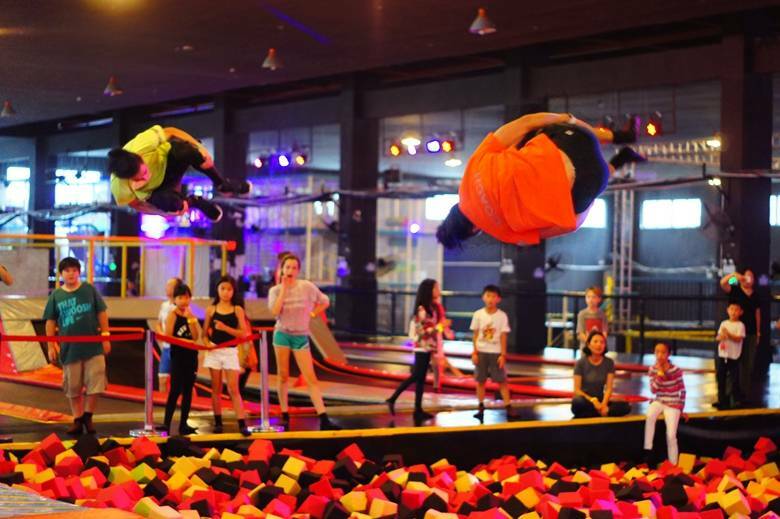 Start off by practising your moves into Jump360's infamous foam pit! Our coaches have been learning new tricks everyday and it's time for them to show off (and of course to teach you)! Want to dunk like an NBA all-star and show off to your friends? Drop by Jump360 and have Head Coach Eric show you how to do this out of the world back flip dunk! Are you learning parkour? Drop by Jump360 and have our parkour specialists show you some new moves!